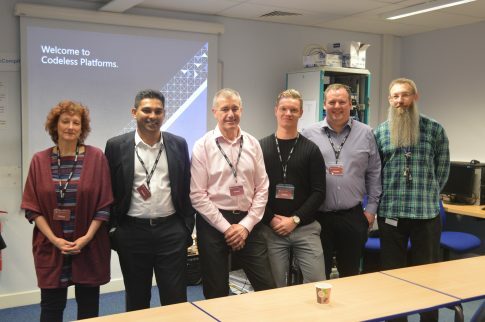 A team of IT experts from Poole-based IT firm Codeless Platforms, led by former Brock student Jake Baldry, visited the College recently to give a presentation to second year Level 3 IT students. 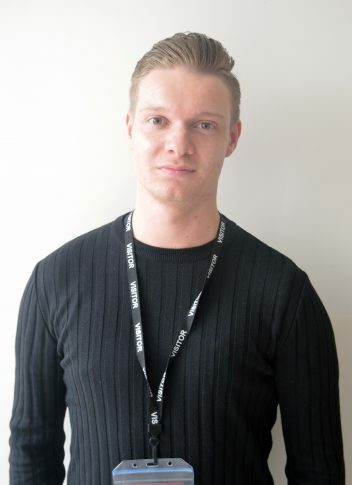 Jake, who works for Codeless Platforms as an IT consultant, studied the course when he attended Brock back in 2009. During the presentation the group spoke about what the company does, roles within the firm, and possible ways to join the business. Codeless Platforms is an original equipment manufacturer (OEM), which provides application development services for local, national and international enterprises. For example, they are currently building a service app for a refrigeration business to ensure engineers have all the right information at their fingertips. When asked his advice for students hoping to pursue a career in the IT industry, he said: “Think about what you are naturally interested in and progress with that. “It can be daunting when you’re 17/18 and you don’t know what to do… When I was here I had an interest in stuff that was broken, so I just followed that interest,“ he added.